Did I move to Miami or Beverly Hills? 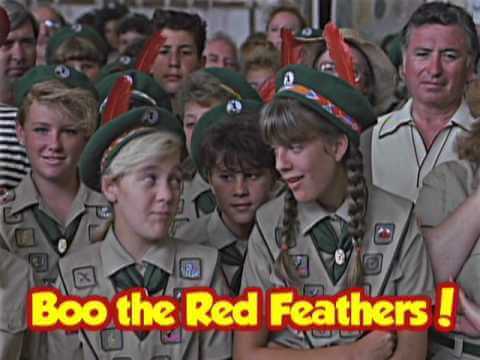 They have a lot of similarities – high end stores, celebrities, over priced restaurants, flashy cars, and apparently, the Red Feathers Girl Scout Troop. Which makes my troop Troop Beverly Hills. 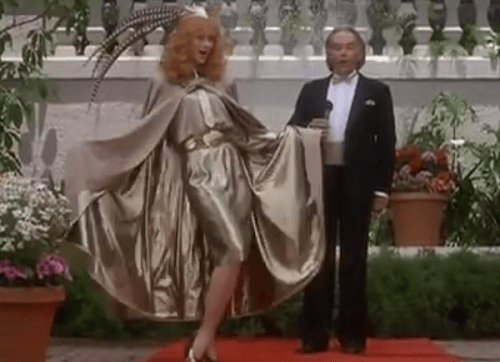 Which makes me Phyllis Nefler (Shelly Long’s character). I am not sure how I feel about this. Mainly because I don’t think I can pull off her outfits. 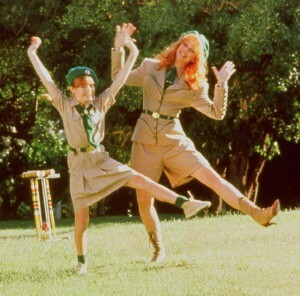 Except the tailored Girl Scout outfit. I am oddly okay with the lame. And the cape. But I really don’t want to lead the girls in dancing The Freddy. Or wear those shorts. What is that “style” called again? 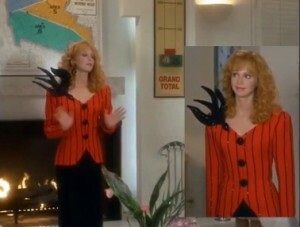 Clothes aside though, I am just like Phyllis. I have a nasty troop leader threatening my troops existence! It is beyond ridiculous. Long story short, there was no daisy troop anywhere close to us. Girl Scouts asked me if I would start one. I said yes and did so, and my troop became part of a unit that has monthly meetings around 10 minutes from me. Fast forward to January when it was time to start cookie booths. My service unit leader told me I could share the grocery store that her troop sells at. I said thanks but not necessary, we would take the Publix that is walking distance from all my girls houses. And that’s when I found out about the Miami version of the Red Feathers. Apparently there is another service unit that has one girl in our school district (my service unit is all in another school district). That service unit leader (henceforth known as bitchy red feather, brf for short) had apparently tried to get my troop under hers, but for whatever reason, I (thankfully) wasn’t assigned to her. BRF is bent out of shape over this. BRF has always claimed my local Publix as hers, because of the one kid who lives here, so she gets first sign up rights. And in very ungirl scout like behavior, BRF refused to let my troop have any weekend time at Publix, as punishment for not being in her unit. Fine. My girls are cute. They don’t need the weekend to do well. So once booth sign up is open to all, I sign us up for two weekdays at Publix, for every week of booth sales. 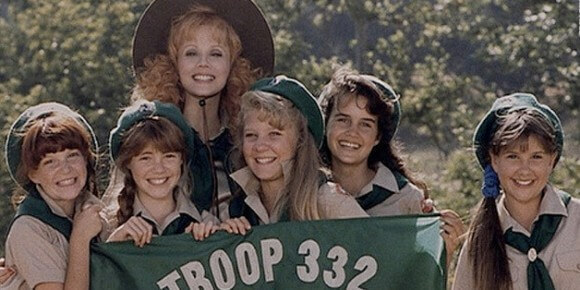 I might have also had the local Surfside newsletter mention cookie sales, our troop number, and the fact that we are only local troop, and what days they can find us at Publix. BRF is pissed, but there is nothing she can do. Victory is mine! We can all enjoy our Thin Mints in peace. Then I call Girl Scout Corporate and tell them they need to get control of BRF. And that due to fact that she is a wanker and that I was at Publix this past year, I now feel that I have just as much right to weekends there as she does and I will be expecting first right of refusal on booth times, as part of her apology to me for harassing me and my innocent group of six year olds. They agree. Phyllis would be proud. 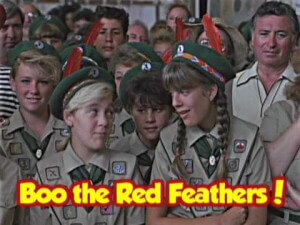 😉 Down with the Red Feathers!